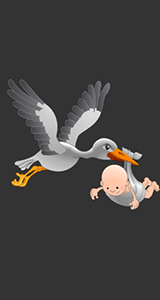 This free online resource details Early Pregnancy. Childbirth usually occurs about 38 weeks after conception, approximately 40 weeks from the last normal menstrual period. We therefore start our Early Pregnancy section on the last day of your menstrual cycle. 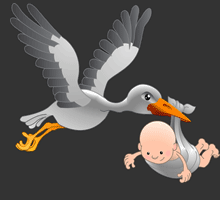 Based on a regular 28-day period the normal term for delivery, the due date is generally 40 weeks. The Early Pregnancy Stages for Week 1 - 3 are detailed on this page. Our unique guide to Pregnancy Symptoms by Week will also prove extremely useful to all pregnant mothers-to-be. Our information guide can be used to help you understand the changes in your body and to your baby. There are facts, information and helpful tips about Early Pregnancy. Last day of your menstrual cycle. The baby growing inside you is now called an embryo. The contents of this section provides facts, definitions and helpful information for pregnant women. The start, the various signs and symptoms and development phases. Discover how your body is adapting and how your baby is growing and developing via the information found on this page. Every pregnancy is different and the above information about early pregnancy is therefore generalised to act as a guideline for educational purposes only. For specific medical advice, diagnosis, and treatment please consult your doctor.